Father Julio De Jesus was born in Higüey, Dominican Republic. The last of fourteen children. Attended to a Catholic school where he believe that the priests and sisters planted the seed of the priesthood. In 1987, His family moved to New York. In 1989 graduated from The International High School at LaGuardia Community College. In 1992 received an Associate Degree in Hotel and Restaurant Management from New York College of Technology and started working in the hotel industry. In 1996 Graduated from Florida International University with Bachelors of Science Degree in Hospitality Management. Worked for 12 years in the hotel industry where he held various positions including banquet manager, and catering director. Father Julio De Jesus felt in his heart that God was calling him to a different way of life. 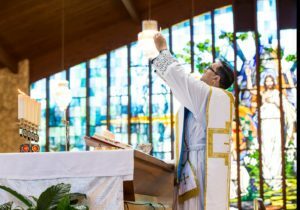 In 2005, After talking with his spiritual director he joined the Franciscan Friars of the Renewal to discern religious life where he completed the postulance, novitiate, and made temporary vows. He was involved in several ministries such as: serving the poor at homeless shelters, soup kitchen, food for the poor, porter, finance, parish missions, nursing home and hospital visits, youth retreats, pro-life ministry and, religious spirituality formation, which including catechism and Franciscan spirituality. 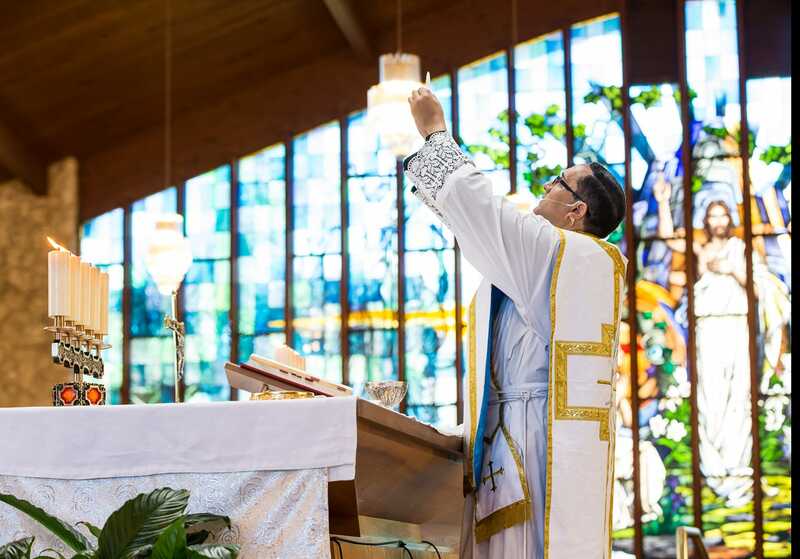 In 2009, Father Julio started priestly formation for the Archdioceses of Miami at St. John Vianney Seminary in Miami and St. Vincent de Paul Seminary in Boynton Beach. He was ordained for the Archdiocese of Miami on May 9, 2015, and served at Nativity Parish in Hollywood. In 2018, he was named administrator of Saint Benedict Parish in Hialeah Miami-Dade County.